Check out how these stars dramatically changed their looks without having to commit to a new haircut or hair color. Heidi Klum looks totally different by just brushing all of her hair back. Use a strong hold hair gel to keep hair in place. Try on these looks now! This TV darling demonstrates how a simple swipe of blue or violet eye shadow can instantly change up your look. 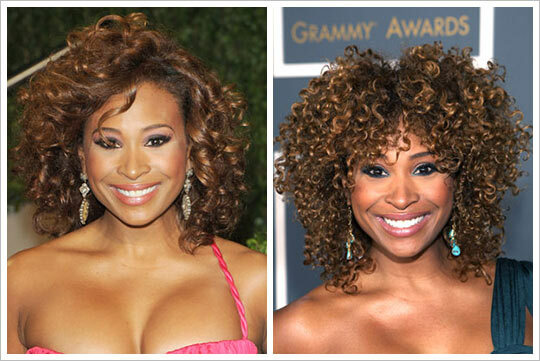 No doubt about it, Tamika Ray is all about curls–whether they’re corkscrew tight or loose and soft. Try on these looks now! 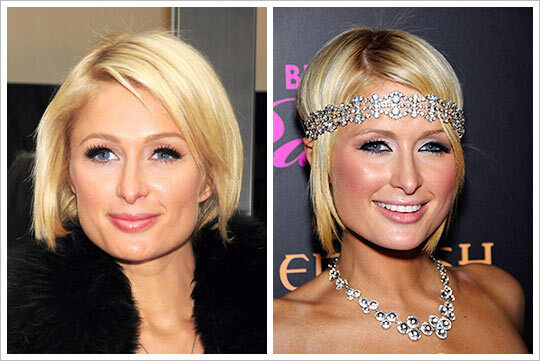 Leave it to this heiress to get glam with a bedazzling forehead band. Try on these looks now!